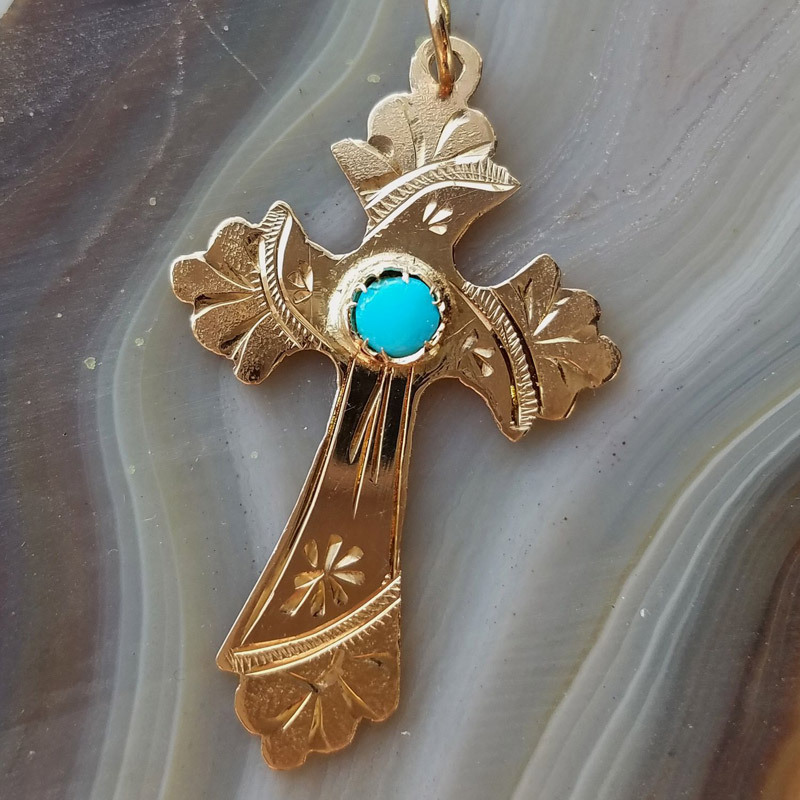 Beautiful vintage 14k gold cross with etched design and turquoise cabochon set in the center. 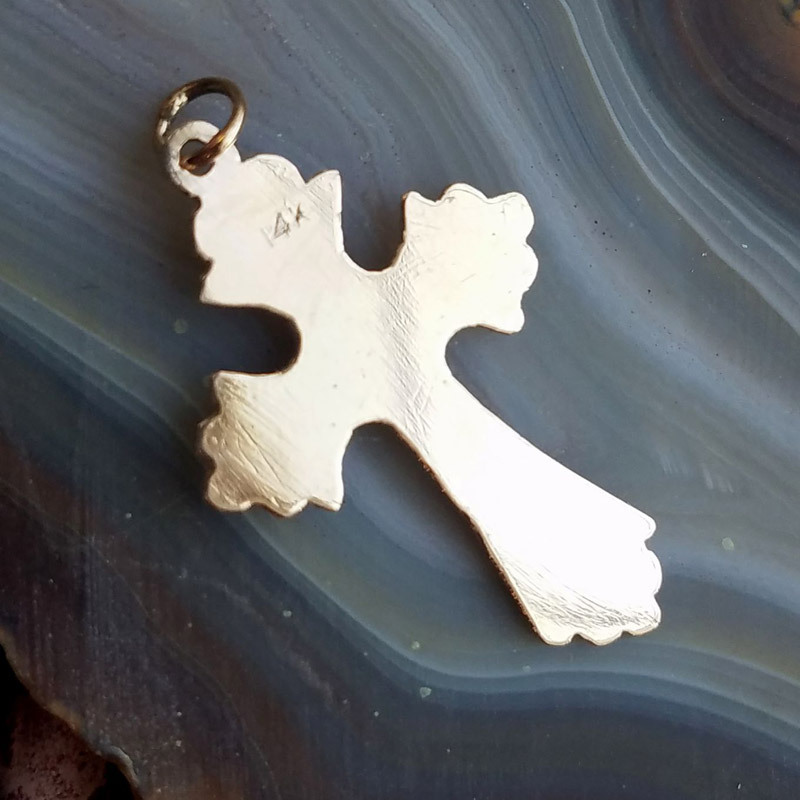 Hallmarked 14k. The cross measures approx. 35mmx21mm. 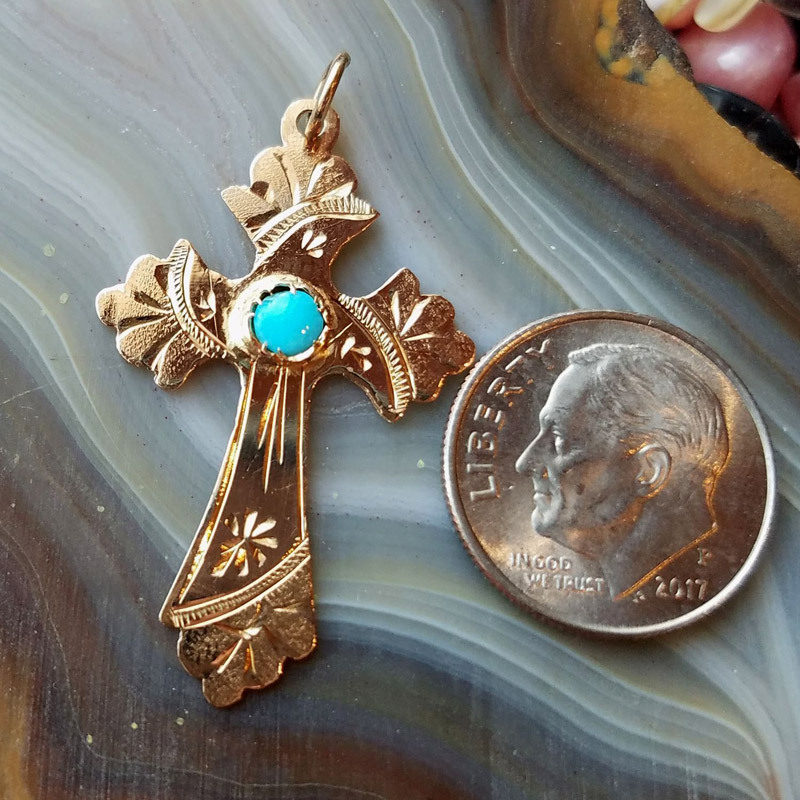 Turquoise is approx. 4mm. Weight is 2.3g.